Ludlow Street Market 1889. New York City. 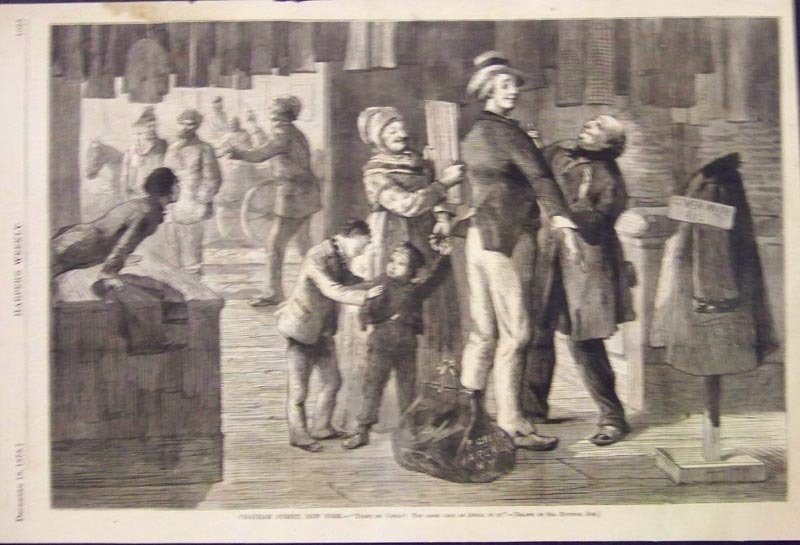 Jewish Quarter on the East Side “Scenes in a Market in the Slums.” 7 Vignettes featuring peddlers. Rare. Hand colored, half-tone engraving. 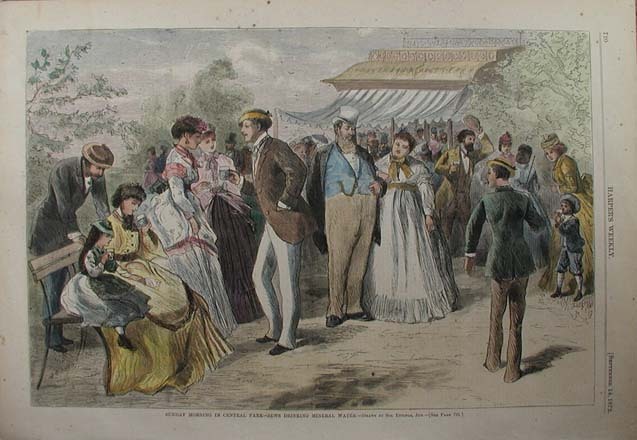 "Jews drinking minearal water, - Sunday Morning in Central Park. Drawn by Sol. Eytinge, Jun." This view shows all ages of people in their best outfits socializing on a Sunday morning around the mineral water stand. Excellent condition. 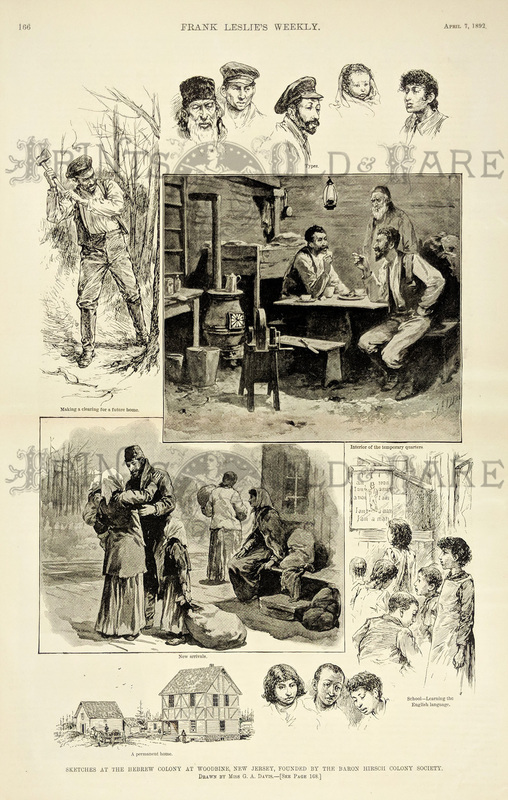 1872 Harpers Weekly. Hand colored, wood engraving. 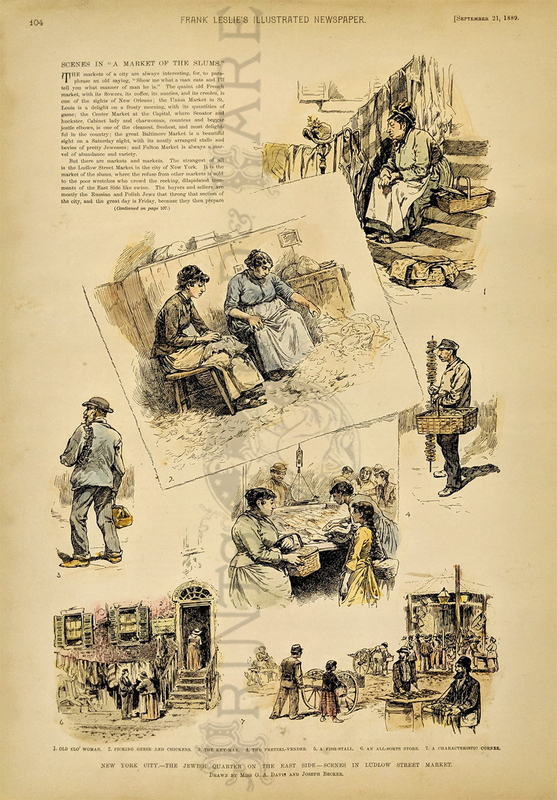 1898 "One of the Sights of New York -- The Jewish Quarter." 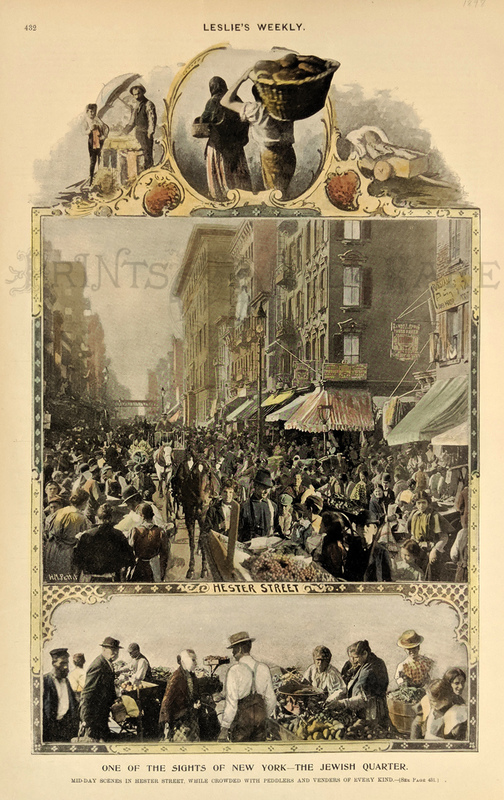 Scenes show mid-day in Hester Street, while crowded with peddlers and venders of every kind. Hand colored, half-tone. Jewish Theater 1893. New York City, 8th Street. 8 Vignettes including Mr. & Mrs. Adler, Miss Wilensky. Rare. Hand colored, half-tone engraving. 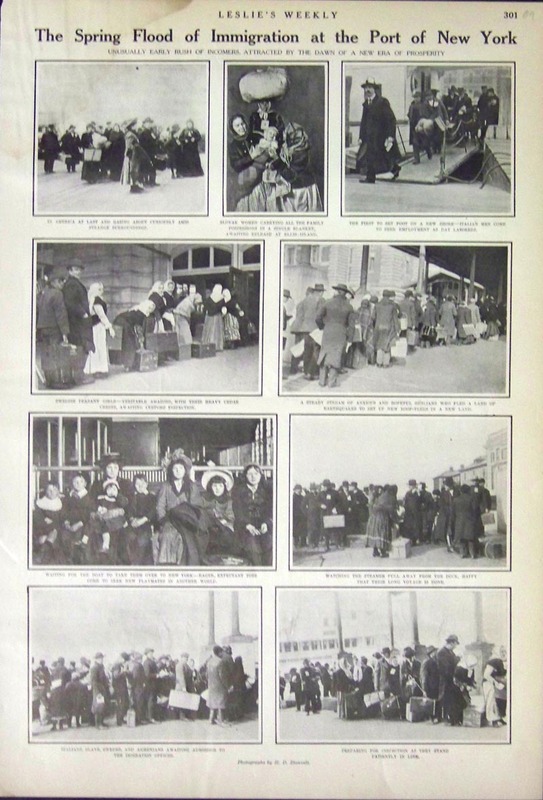 1909 "The Spring Flood of Immigration at the Port of New York." Nine scenes in all showing families of all countries preparing for inspection and their long boat voyage to a better land. 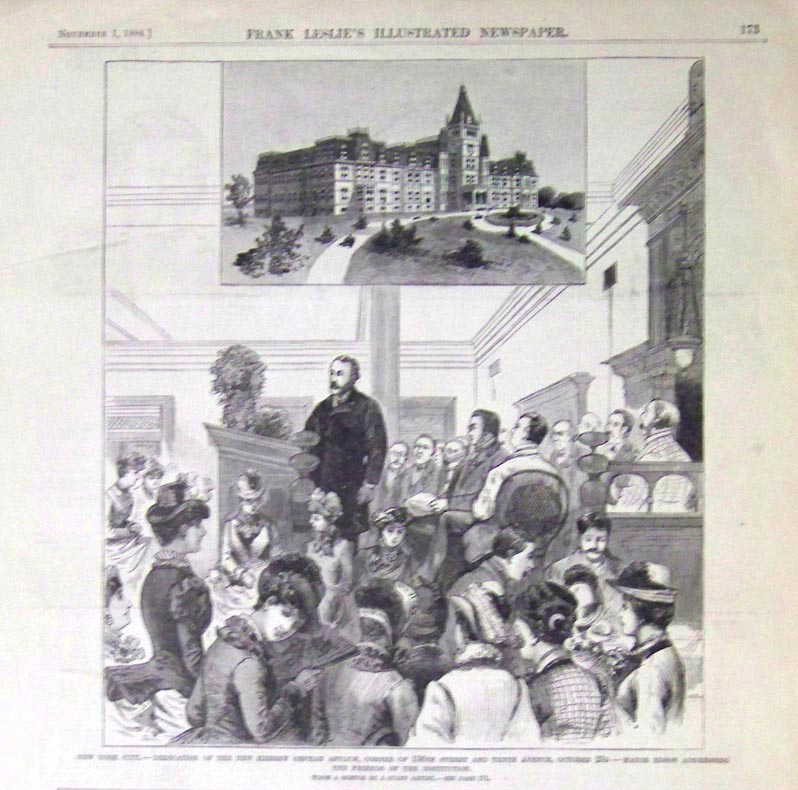 1884 New Hebrew Orphan Asylum, Corner of 136th Street and Tenth Avenue, October 23d --Mayor Edson Addressing the Friends of the Institution." 1875 "Chatham Street, New York. --'Tight, my Child? You Look Like an Angel in It!'" Wood engraving. 1901 Chromolithograph by Judge Company of New York. Lithographers were Sackett & Wilheims Litho. & Prg., New York. 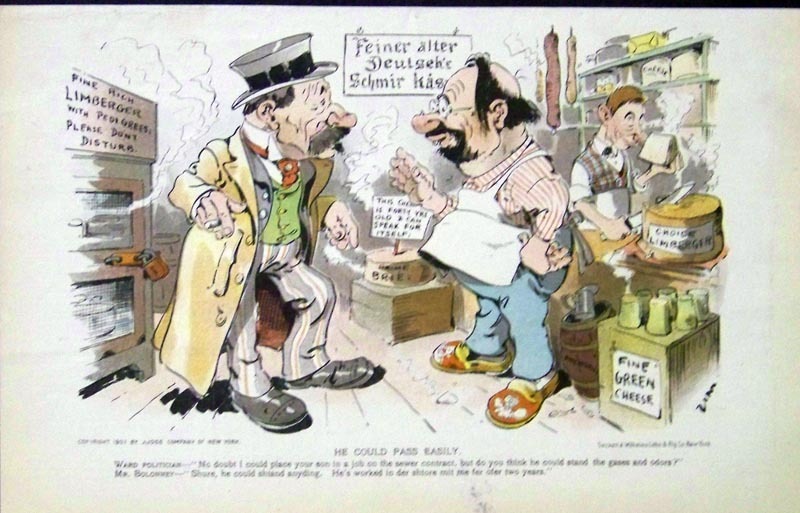 Cartoon shows a transaction between a Ward Politician and a Jewish cheese shop vendor. 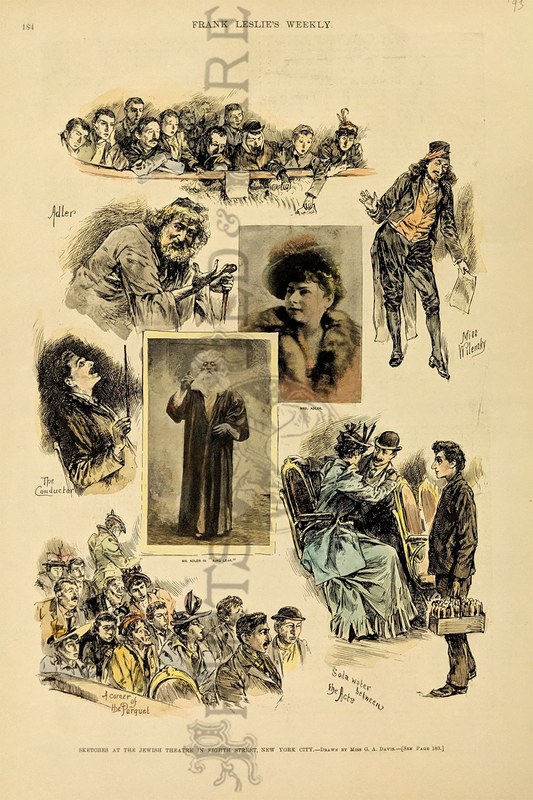 1901 Chromolithograph by Judge Company of New York. Lithographers were Sackett & Wilheims Litho. & Prg., New York. 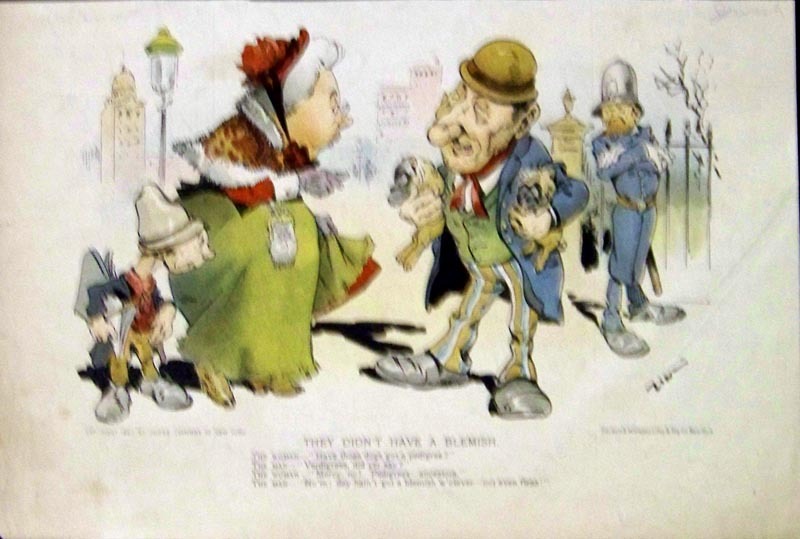 Cartoon shows a woman asking a gentleman selling dogs about the dog's pedigree and he answers that his dogs don't have any blemishes or fleas. Hebrew Colony at Woodbine N.J. Started as an agricultural colony for Eastern European Jews near Ocean City and Cape May. 1892. Half tone.